Moog Animatics makes highly reliable machine building fast and easy. From simple two-axis pick and place applications to installations of more than 1,000 servos instantly synchronized in coordinated motion, they have an innovative solution for you. Animatics offers the most highly integrated automation solutions in the industry. 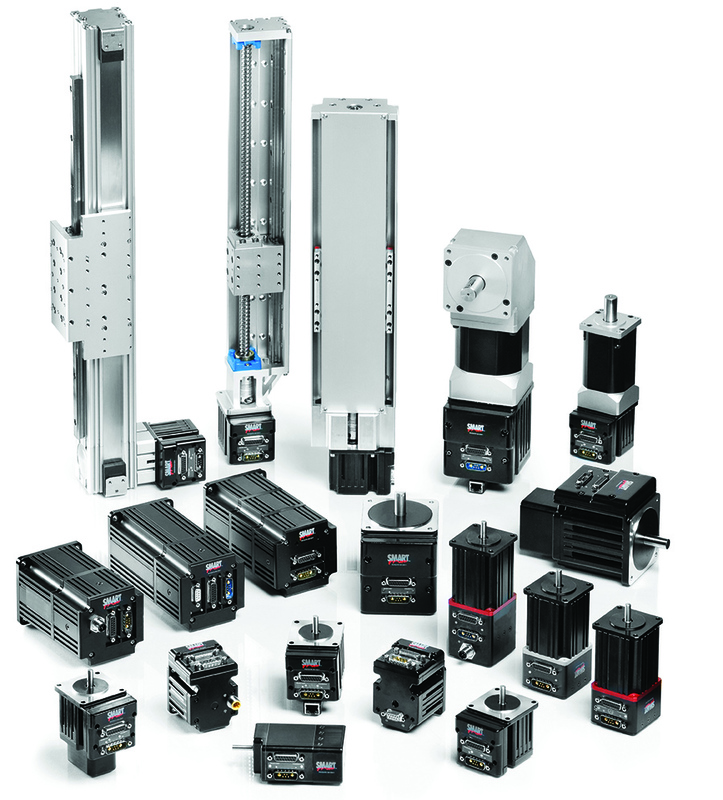 Starting with the SmartMotor™, the world's first fully integrated Servo System, and extending through a large variety of I/O, machine control and actuator products. Animatics offers total solutions with a much smaller footprint and a lower cost, with a simplicity that reduces your machine development and build time - getting you to market faster. Moog Animatics provides belt (harmonic) actuators, rodless (ball-screw) actuators, and rod type (ball-screw) actuators. All actuators are sold as a complete linear motions system with the SM23165DT SmartMotor as standard.